WestJet today connected Atlantic Canada to the City of Light, with its inaugural flight between Halifax Stanfield International Airport (YHZ) and Paris-Charles de Gaulle Airport (CDG). The flight landed in France at 10:00 a.m. local time. "This is a historic day for WestJet as we touch down on the European mainland for the first time," said Tim Croyle, WestJet Interim Executive Vice-President, Commercial. "This new service reinforces our confidence in Atlantic Canada and our ongoing support of Nova Scotia's tourism and economic development objectives outlined in its Atlantic Gateway initiative. Paris is the latest milestone chapter in WestJet's drive to become a truly global airline, bringing Canada to the world and the world to Canada." "Adding direct air access to key markets is an important part of growing our economy," said Premier Stephen McNeil. "This new link strengthens Nova Scotia's long-standing relationship with France and will create opportunities across many sectors. We're pleased to see WestJet's confidence in our province and the region, and I look forward to the route's success." "We are thrilled to be a part of WestJet's growth, as we expand into an airport where travellers can conveniently connect to and from Europe and beyond," said Joyce Carter, President & CEO of Halifax International Airport Authority. "Choosing Halifax Stanfield as the first launching point in Canada to the European mainland signals the airline's commitment to investing in our region and our future." "WestJet is a new airline serving Paris Aéroport and will start flying from Halifax to Paris on June 1," said Marc Houalla, Executive Director, Managing Director of Paris-Charles de Gaulle airport. "Paris Aéroport is proud and happy to welcome this new daily non-stop service between Paris and the capital of Nova Scotia, increasing the attractiveness of both our cities. Halifax being an additional gateway to Canada, this route will further strengthen the strong and long-standing ties which have existed for years between our two countries. We hope this first step into the Paris market will be a great success and a solid foundation for further developments of WestJet at our airports. This is a major milestone for our capital city as it is the first ever non-stop transatlantic flight to Paris operated by the B737 MAX." WestJet's daily non-stop flights between Halifax and Paris are operated on the Boeing 737 MAX, the airline's newest, most efficient and guest-friendly aircraft. Flights out of Halifax have been timed to connect conveniently with WestJet flights across Canada and with codeshare partner, Air France-KLM in Paris. Flights also provide for WestJet Rewards earning and redemption. The addition of Paris to the WestJet network brings the airline's overall reach to 106 cities in 22 countries across Canada, the U.S., Caribbean, Mexico and Europe. 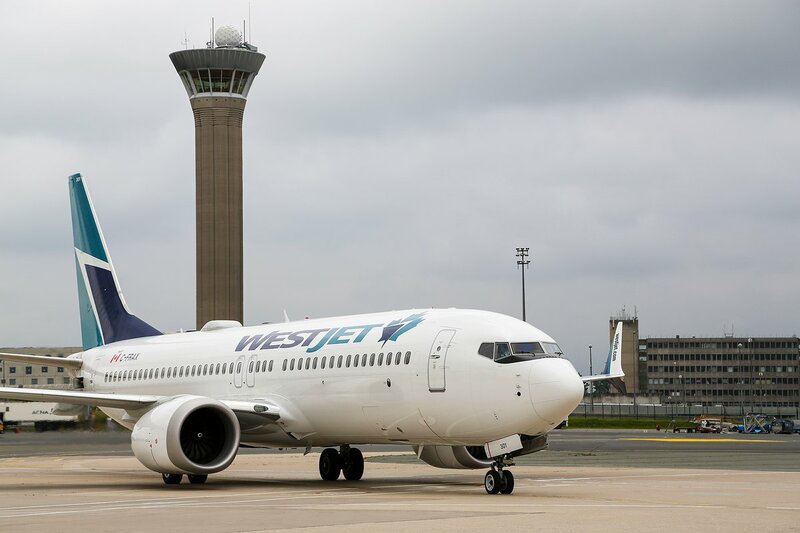 WestJet continues to grow it presence at the Halifax Stanfield International Airport where it is the airline offering the most non-stop destinations this summer.